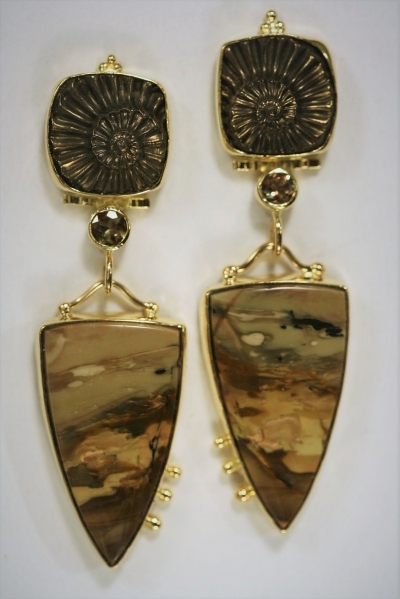 Fossil Ammonites, Faceted Andalusite, Morrisonite Jaspers, 18KT.Gold. Dimensions: On posts. 2 1/8" x 5/8"